Productive day today. I managed to get four batches cut today. The first was the shipping container. This time I got the setting right and didn’t have to spend an hour cutting it out. There are a couple of etch-lines which need attention. But I’m there. This is a packing case. I probably won’t be selling this. Working on a formula of, “Three times time and materials” this works out at six Euro each. 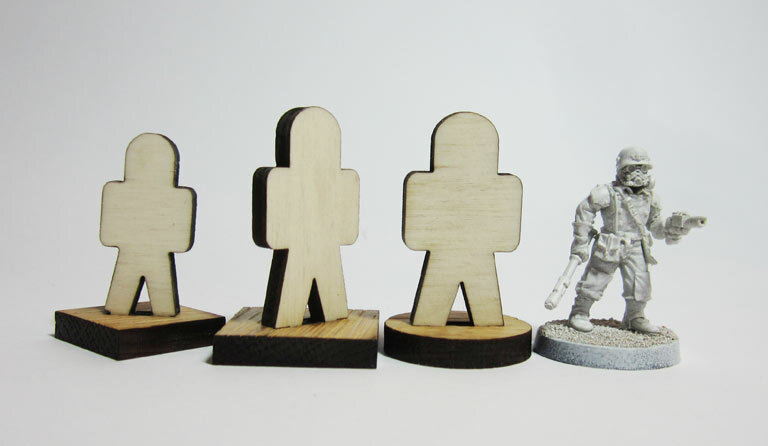 I don’t see many wargamers forking out that much for a single piece. 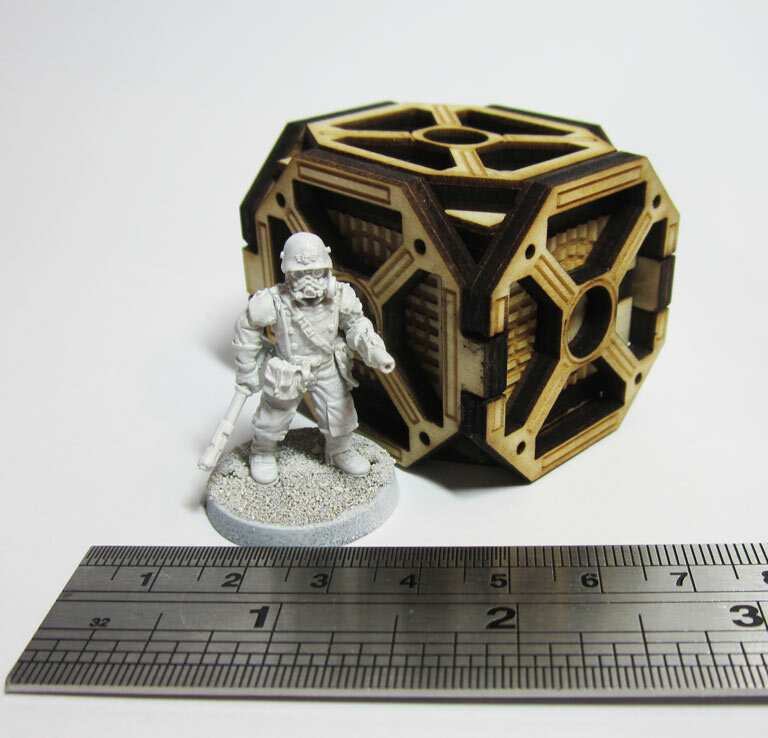 So I need to make something a little less complicated in a cheaper material. 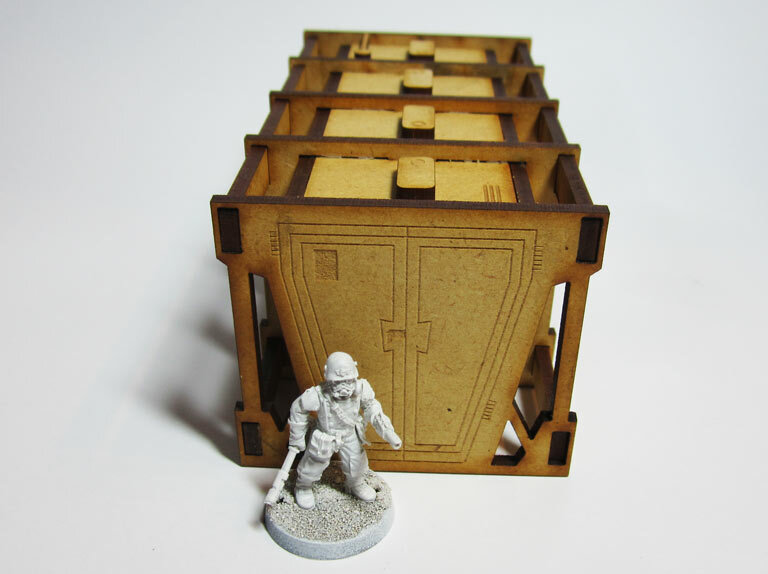 This is made with 4mm ply rather than the much cheaper 3mm MDF. Which I have now sourced thankfully, now to find affordable acrylic. Finally a plaque for my Albion Army, when I finally get my display case out of storage. 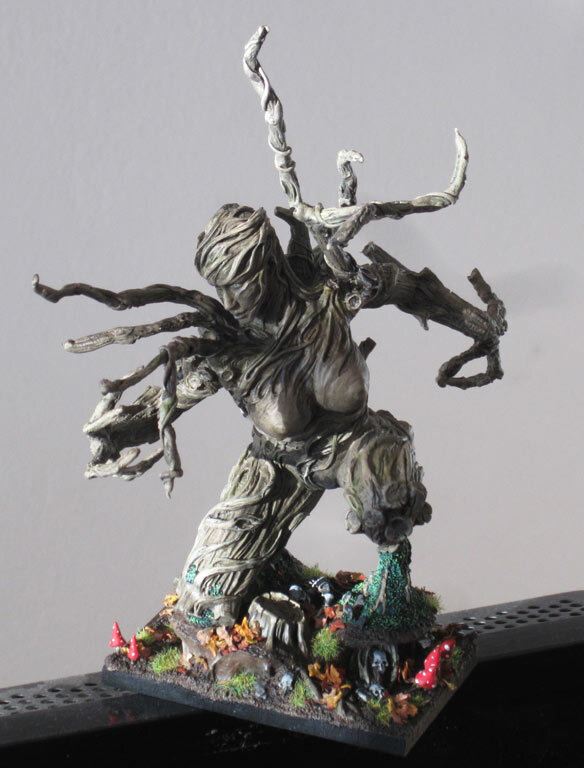 Treelady from Ultraforge Miniatures for my Albion Army. I didn’t manage to do much over December, I wasn’t very inspired and this shows it. There are bits i am happy with and bits that are a bit bland and ho-hum. It was good practice with the airbrush getting some highlights and shadows.